"Night, Night, sleep tight..." Bed bugs are back with a VENGEANCE! If you think you are safe, THINK again! 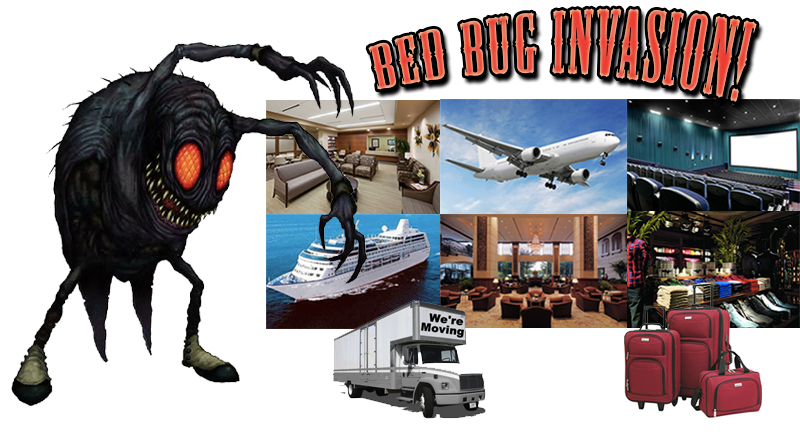 Bed bugs are found in movie theaters, corporate and small business offices, libraries, department stores, hotels (even luxury resorts), friends couches and any place you may find upholstered furniture or clothing. They're not as small as most people think, they're commonly as large as an apple or watermelon seed. Do not use over the Counter Insecticides! They Do not work and will cause the Bed bugs to spread to other areas. Contact D&S for an inspection right away. Don’t move anything prior to inspection to ensure that insects do not scurry to other areas. Our trained experts will let you know if your home is being invaded by bed bugs, fleas, mosquitoes or other pests. What you might think is a common beetle could be a bed bug. If you are waking up or even sitting on the couch and experience an uncomfortable irritation of the skin, contact the experts! Our treatment plans are the best in the business. from local spot treatments to whole structure fumigation, we have you covered. Don’t throw furniture away. Fumigation is 100% effective. We can fumigate your furnishings and belongings in our fumigation chamber, saving you Thousands of dollars in replacement of infested items. Since we do not know how you originally got the bed bugs, use caution when you or your children stay somewhere other than your home. Also, use extreme caution if bringing home used furniture. Best rule of thumb….don’t bring home used furniture.